To send form notifications to the correct inbox, activate the Mail SMTP plugin and check within Gravity Forms that you're using the correct e-mail address. click Activate. After the plugin is activated, go back to your dashboard and hover your mouse over the word Settings and click on Email. After you fill in the information above, click save changes. Finally, send yourself a test e-mail. If the email does not come to your inbox, recheck the fields above to confirm the information is correct. 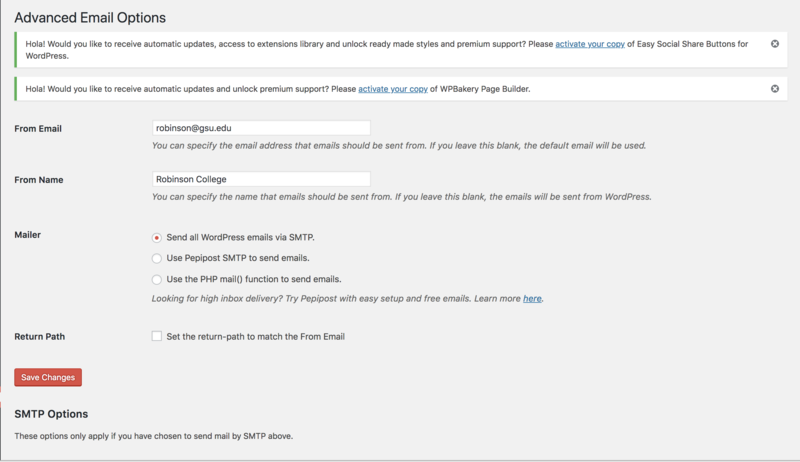 After you activate WP-Mail-SMTP, confirm the correct e-mail address for your gravity forms. To do this, go to your dashboard. Next, click on the word Forms on the left-hand side of the screen. Find the form that's not sending notifications and click the word "settings"> "notifications under the title. Under the word Admin notifications, click "edit". Check the field that says "send to e-mail" and confirm that email address is correct.